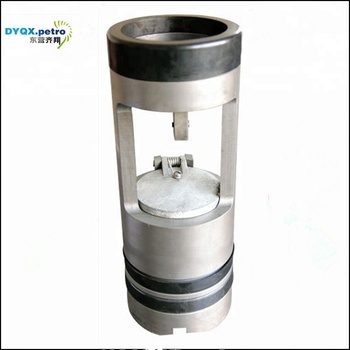 Float Valve Sub is an important tool in petroleum exploration and drilling engineering. The float valve sub is connected at upper part of drill bit, the float valve assembly in sub is near the bit connecting thread and the float valve sub also can be necessary position of drill string. The main application is,when connect with single piece pipe, to prevent mud coming in, mud up returning and blocking hole. When blowout takes place,blowout in drill string will be avoided because nozzle is closed automatically by valve cap for float valve assembly . 3. Connection and O.D of sub.